Constructed in 1955 as a single-storey structure and named for renowned Canadian physician William Osler (1849-1919), in 1957 the original ten classrooms and gymnasium were expanded to include four more classrooms. The school closed in June 1991 and the remaining students went to J. B. Mitchell School or Brock Corydon School. 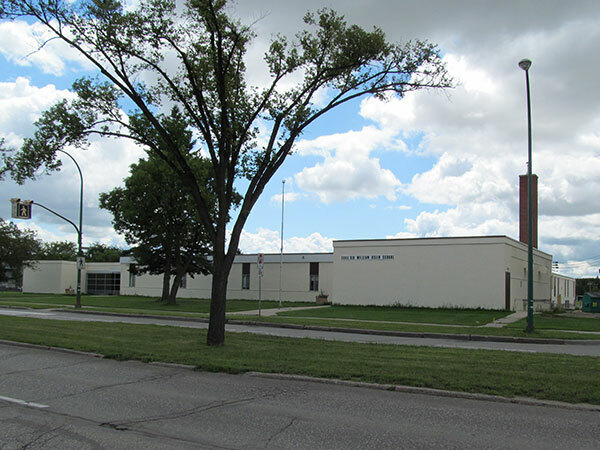 The building continued to be used for educational programs by the Winnipeg School Division. The school was officially reopened as a French-only facility on 4 October 2016. “Reception Tuesday for Dorothy East,” Winnipeg Free Press, 20 June 1974, page 66. “[News Release / Media Invite] Celebrating the re-opening of Ecole Sir William Osler,” 29 September 2016, Winnipeg School Division. We thank Lisa Morantz for providing additional information used here.